Hi Friends! How was everyone’s week? Mine was a bit slow. I haven’t worked on any of my crafts or done anything special in the kitchen. It really was kind of a lame week. My husband had to take his car into the shop so for a few days I did some walking to work and getting my son to school. I forgot how much I enjoy a good walk in cool weather. It’s a whole different experience. The smells and sounds. There was a tree with a ton of acorns and three squirrels running around playing with each other and going nuts by it and it was so fun to watch. Today even more have opened up. When they all open I will have to share that with you guys. So much easier than trying to grow plants outside or in a pot, I don’t have much luck with that. We were pretty lazy Saturday morning and afternoon. Hubby and I watched a show we really enjoy called George Gently. 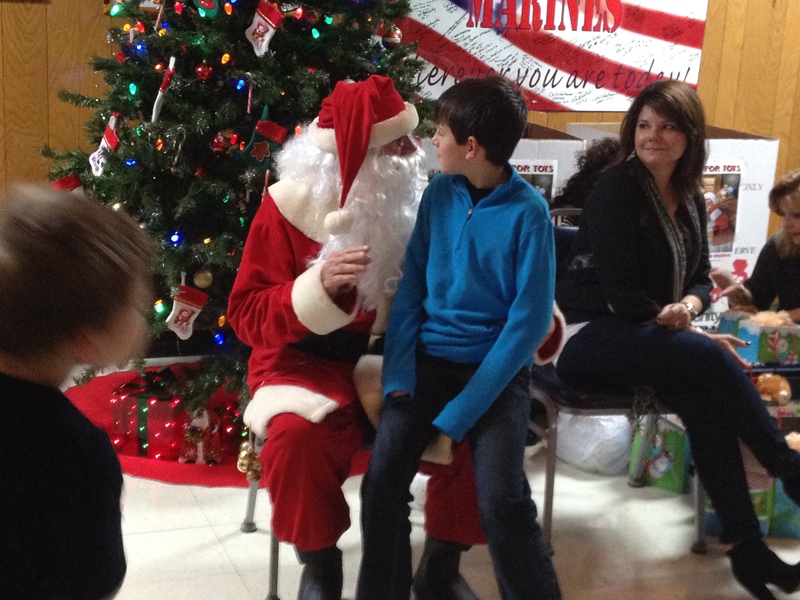 Then in the evening we had a family Christmas party and Santa came to see the kids. On Sunday we went to the art museum for boy scouts, it was one of the things they had to do to earn the Art pin. 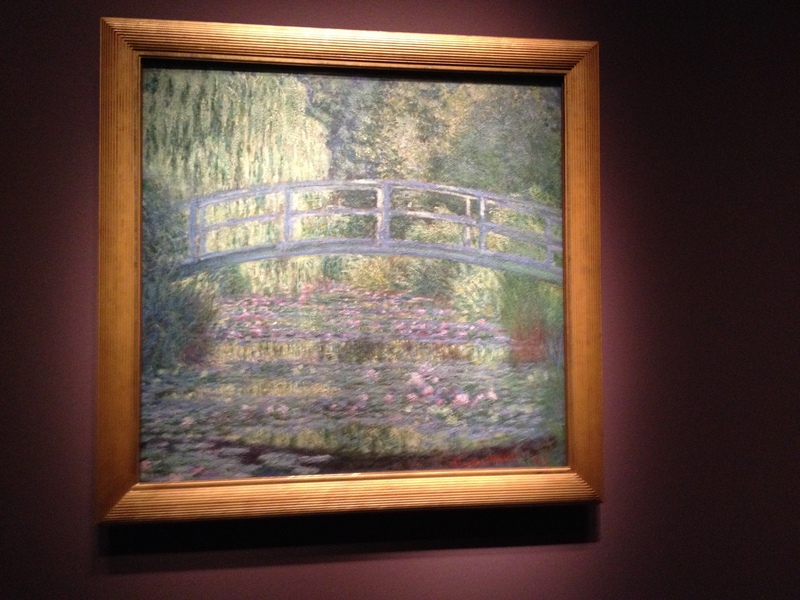 I was really excited to go because I had heard from a friend that they had some art from Monet there! We walked around for quite a bit before we finally found it. And it was just One. Don’t get me wrong it was beautiful but I was hoping for more. 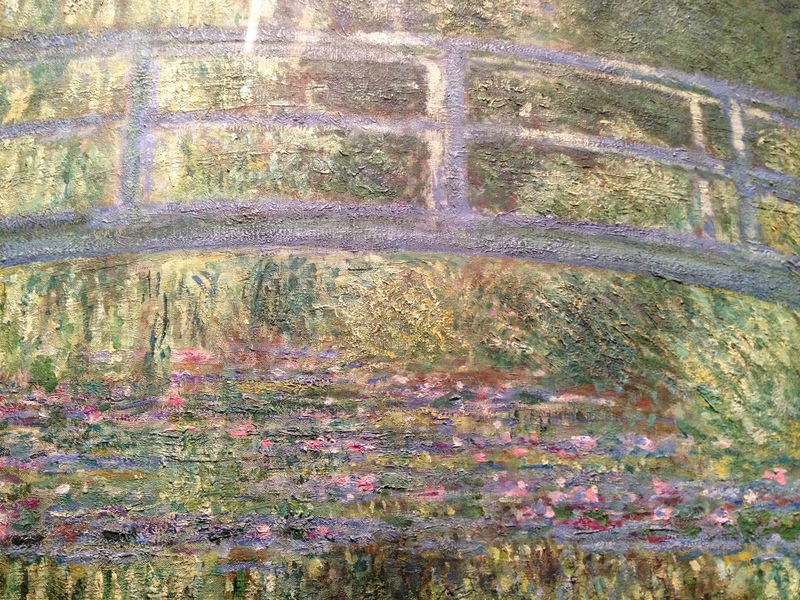 I love Monet, so I am Monet greedy I guess ;). I shouldn’t complain I was able to see several of his pieces when we went to Chicago several years ago. Anyway here is the masterpiece. I took a couple up close shots and i don’t think the guard that was in the room liked it because she ended up moving from the back of the room to right in the line of sight of what I was doing. It was worth it. I have always appreciated and admired how some blotches of paint up close can be so beautiful from far away. After that we went to a craft fair that was packed!! Great for all the people that had tables there and were trying to sell things but very hard to walk through. I didn’t get any pictures, all you would have seen was a whole bunch of bodies crushing around tables. 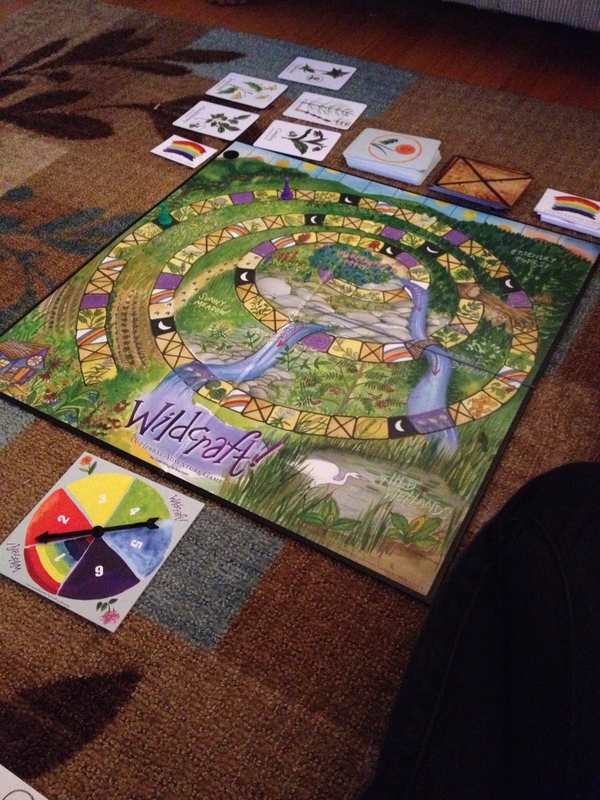 It’s called Wildcraft, my father-in-laws fiancee let us borrow it. You are basically a team and you start at grandma’s house have to make it to the center of the board, which is the huckleberry patch, and back to her house by nightfall with two buckets of berried per person. Along the way though you land on trouble squares and you suffer from different things, like a wasp sting, hunger, sore muscles and other health related things. But you have and also collect plant cards on your way and these plants can heal you from whatever trouble you got which is the main purpose of the game. 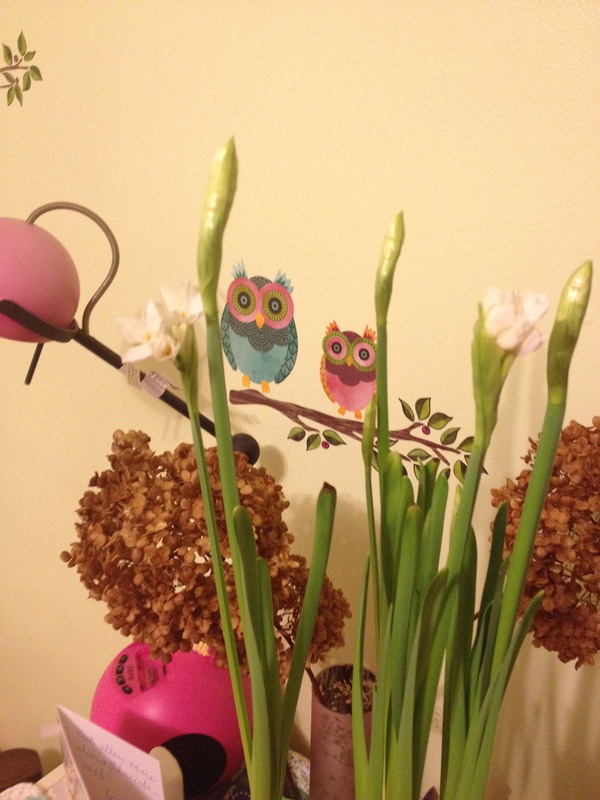 To help teach kids natural herbs and plants. Little Man and I have played it several times since we got it just after Thanksgiving. I am hoping to get my decorations out this week and maybe do some cross stitching. I am still reading Edge of Eternity and it is due back to the library tomorrow…I still have about 200 pages to go. Back to reading I go!! I love Inspector George Gently, fantastic show! 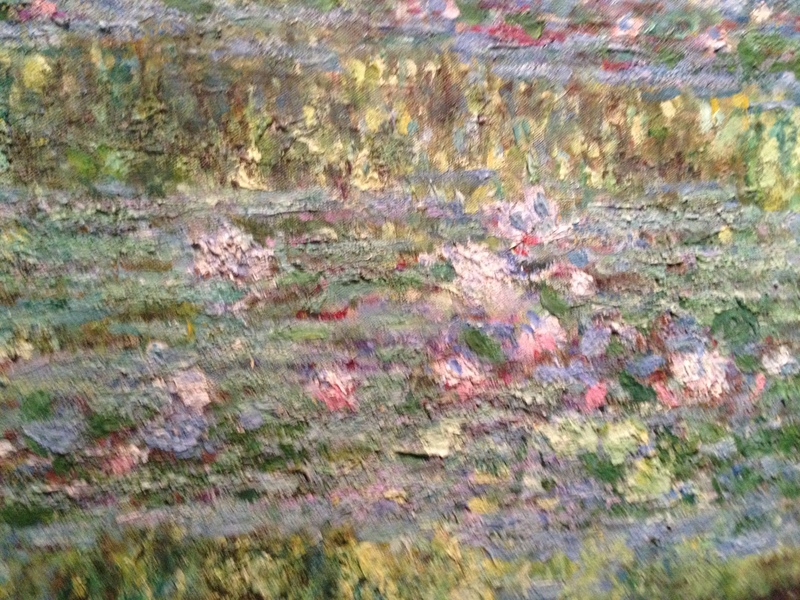 I also admire the work of Monet, you might think it’s just a mixture of colourful splashes and then you take a step backwards and here it is, a masterpiece scene! My week up till now was rather awful, with the flu, the coughing, the cold… But we are feeling a bit better everyday so I hope to start knitting, sewing or cooking soon.